Through our Project KidSafe campaign, Breakstone, White & Gluck has donated 3,500 helmets this year and over 8,000 helmets since our first donation in 2013. Our goal is to encourage children and families to wear bicycle helmets and reduce the risk of serious head injury should they fall or be injured in a bicycle accident. Watertown Faire on the Square: On Sept. 26th, the Watertown Bicycle and Pedestrian Committee distributed 120 Project KidSafe bicycle helmets to children in the community at the 16th annual Watertown Faire on the Square. 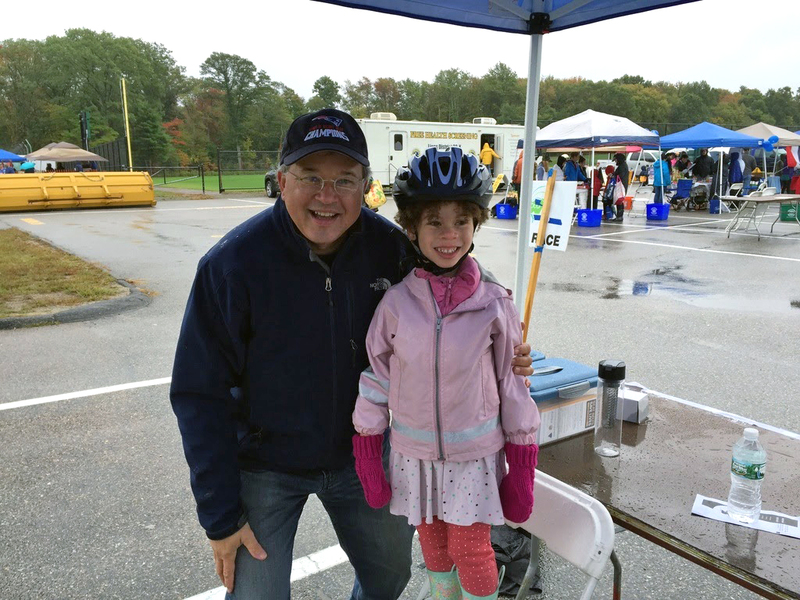 Boston Bikes’ Roll It Forward: Attorney David W. White will join Boston Bikes at the Old Colony public housing development in South Boston on Friday, Oct. 9th. Boston Bikes’ Roll It Forward program provides refurbished bikes to city residents each year and returns for bike repair events. Breakstone, White & Gluck is donating 100 helmets and Attorney White will fit children who need one for the new helmets.